The recent gales on the east coast of Ireland dumped inches of rain onto the land. Much of it ended up as floods — yet another one of those “once-in-a-hundred-years” disasters that have been occurring with alarming regularity during the past decade. 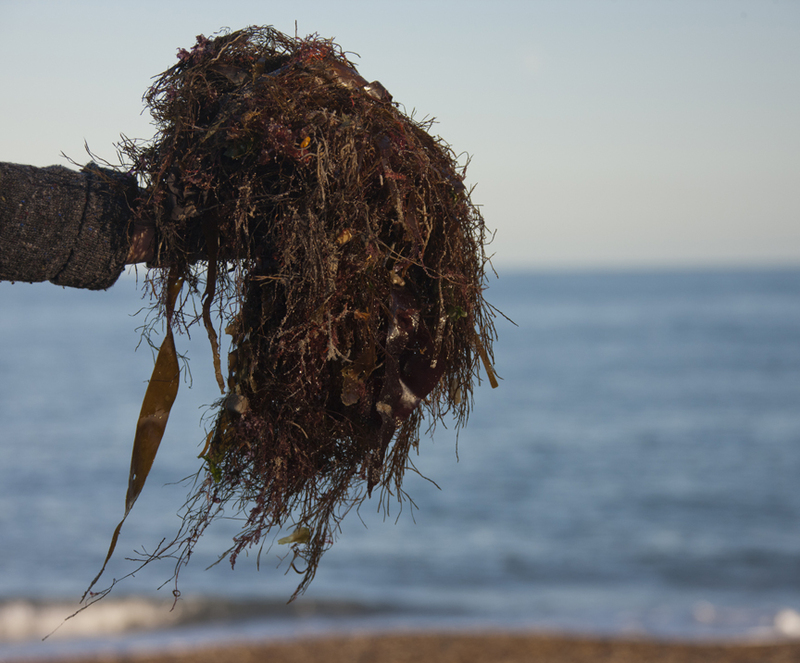 Seaweed has been used as a fertiliser and soil conditioner in coastal regions for as long as man has been growing food. In Ireland it was added to the the poor, stony soil on the Aran Islands, and all along the western seaboard. It is especially good for sandy and light soils, as it contains gelatinous substances (alginates) that retain moisture and help bind soil particles together. The Victorians used great quantities of it, often burning it first, and applying the ash. It was recommended especially for asparagus, which originated as a coastal plant. It is still used by some people for vegetables, particularly potatoes. 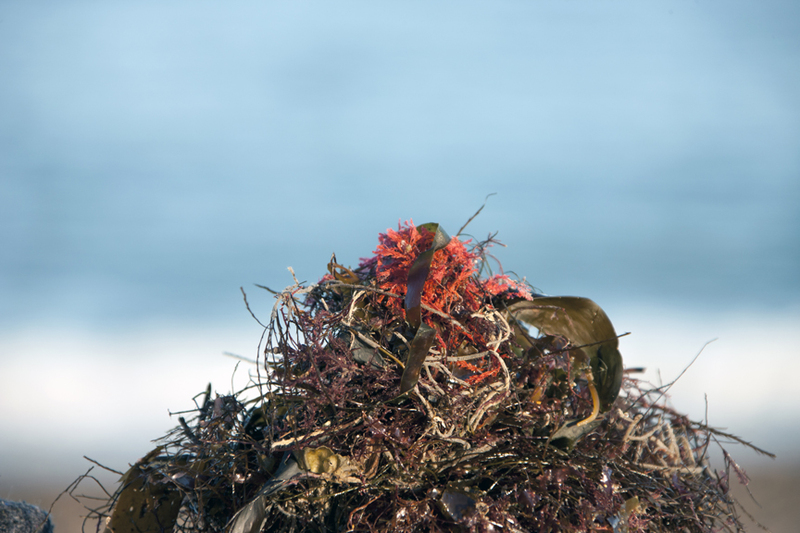 On Joy’s beach, the seaweed sometimes accumulates in piles as high as a person — which means it’s nicely gathered together for collection. A word of advice: don’t harvest seaweed that is growing on rocks — you need a licence for that, and a good reason for doing it. Only pick the stuff you find washed up on the beach. And, of course, be careful about disturbing wildlife, and trampling all over a fragile ecosystem. I can’t end this post without mentioning seaweed baths. Taking a seaweed bath is one of those things you should try at least once in your life. I’ve had several, at various places in Ireland. The best are in Sligo, right next to the sea, where you can hear the waves as you lie entwined in algae. One of these businesses is at Strandhill, and the owner’s father grows champion vegetables on his organic farm. Isn’t that nice? You can lie in a seaweed bath and dream of giant leeks. I like seaweed too but over on this east coast we do not have much ! Seasol foliar concentrate is our alternative. Isn’t it also great for Myosotidium – would my boss let me go off for a stroll on the beach to get some I wonder! If seaweed is so good, what about those awful algal blooms that hit some French coasts last year, fed by sewage and farm run off though, but surely the nutrients would be about the same, though I reckon the aroma would be a tad higher! Here’s a thought, is there a scale measuring bad aroma intensity, like the Scoville rating for peppers?? Great post Jane. The other thing to mention is that seaweed put on your beds now protects them from leeching through the winter. It then just disappears in the Spring back in to the soil. Seems like the perfect mulch & compost all in one. Kathryn: I’m interested that you use seaweed on your heavy soil. I’d read on the internet that it was not suitable for clay — but I wasn’t sure whether to believe that or not. I’d rather believe you, any day! Truffles1/Steve: We don’t have it in quantity either, but it washes up after strong winds. Stephen: Yes! I used to use it for Myosotidium — which I grew years ago, but I stopped when it proved to be an expensive way of providing slug food. 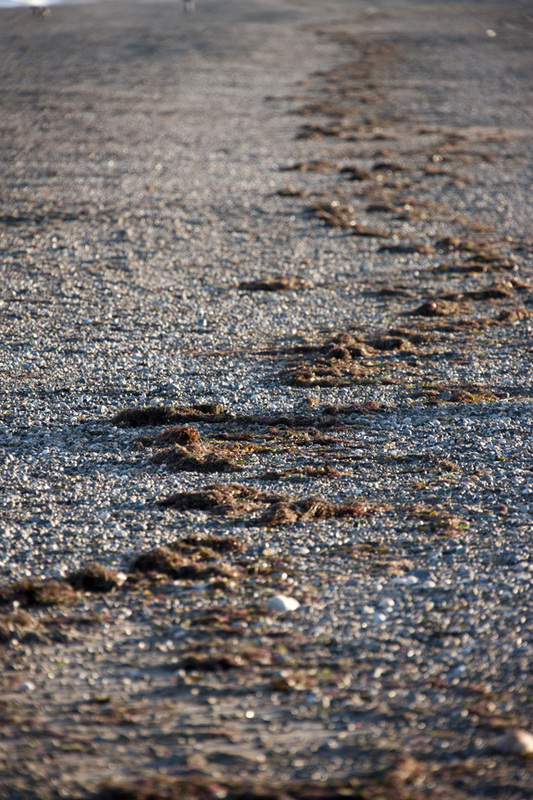 Seaweed (called wore here in Skerries) was once used a lot by the local farmers. In the late 19th century there was a dispute between the farmers and Lord Holmpatrick about the rights to the seaweed. This dispute, which was known as the ‘Seaweed war” (not ‘Wore war’) ended up in the House of Lords – I forget the outcome. Armed with this historical knowledge I use seaweed on my allotment – an example perhaps of my historical knowledge compensating for my poor horticultural knowledge. And take a look for seaweed. I have collected it before in the past and was very pleased with the results. It is great as a compost activator. It worked well too as a mulch on the vegetable patch but was rather smelly when I used it during the summer. I should think that as a winter mulch the decomposition would be slower and less objectionable. Great post! I’m on the East Coast of Canada and seaweed is an important part of my soil building.. thanks for sharing this info and the lovely photos..
You are currently reading I do like to be beside the seaweed at One Bean Row.